Bowfishing has become a popular off-season sport for hunters and fishermen alike. When fishermen started bagging fish with arrows tied to bows, the most common weapon choice was a compound bow. Mostly because that’s what serious hunters had on hand, and it’s what they were comfortable with. Slowly but surely the trends have changed and a new weapon has emerged. 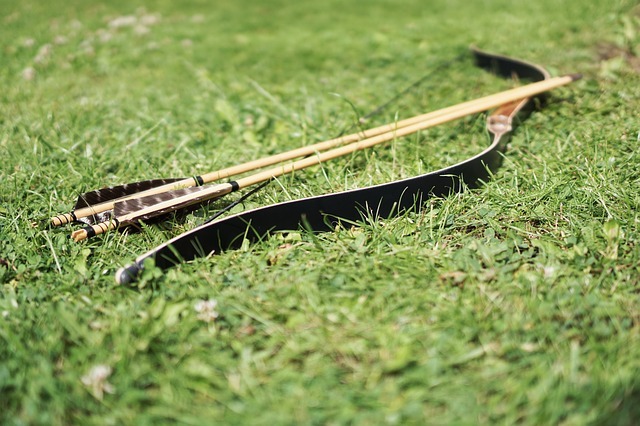 The recurve bow has gained in popularity lately and it’s not just because it’s the weapon of choice for Katniss Everdeen. It’s because it is the best choice for bowfishing – fundamentally. Whether waist deep in water or standing on a boat, bow fishers hunt close-range, moving targets. 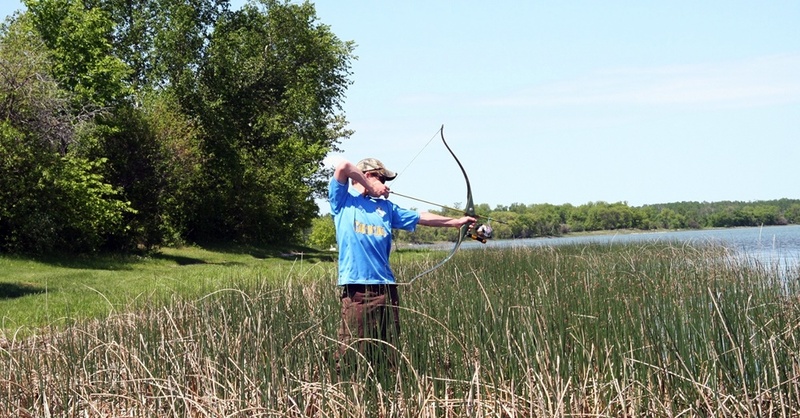 To be successful, bow hunters must be instinctive, quick, and prepared for the hunt before they get near the water. What this means is most bow hunters will pick up their bow, aim, and even draw the line many times before they fire. The first way to be successful and reduce tiring from constantly getting a compound bow ready to fish is to choose a recurve bow. It’s preferred over compound bows because the quick, repetitive motions required while bowfishing are easier to do with a recurve over a compound. 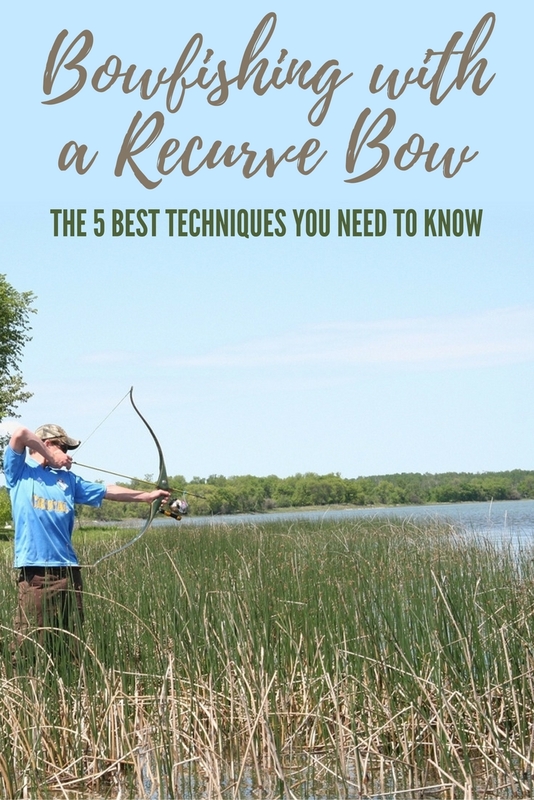 Check out the 5 techniques you need to know when your bowfishing with a recurve bow. All of these tips will help you catch more fish, learn how to bowfish quicker and faster, and allow you to have another hunting outlet when nothing else is in season and fishing with a basic pole doesn’t appeal to you. When you hit the boat and are ready to fish, it’s important to have your hunting packs with extra gear and tools just in case you need them. The first thing you need to understand about bowhunting is that you can’t use the same arrows as you would hunting whitetail. You can still choose from carbon, fiber, or aluminum materials, but you won’t want to add arrows with vanes or feathers. You’ll also want to skip the broadheads too. And target points are no good either. Instead, you’ll want barbs on the end of your arrows. The barbs will go deep into the fish and they won’t be able to shake them off, and they won’t fall out as your struggling to reel it in either. Barbed ends are generally cheaper than broadheads or target points either, so if one were to fall off into the deep water, you won’t be crying over your loss. The best arrows are going to be heavy arrows with barbed ends. The heavier the arrow is the deeper it will sink into the fish. Using the right arrows will help you bag more fish in short amounts of time. To make sure you won’t lose your arrows, you have to drill a small hole in the arrow and thread it with test line. Although simply threading the arrow with test line won’t guarantee you won’t lose the arrow or your line won’t break. To make sure you can reel in the next big fish you catch bowhunting, you need to use the right test line. Most experts will recommend an 80 to 400 pound test line. The most common materials for test lines are Darcon and braided nylon. You might find a test line that’s a bit cheaper, but if it chafs your hands or breaks under pressure, you’ll be sorry later. However, the type of test you choose is up to you, but it’s imperative you choose test line that is white or lime green in color. 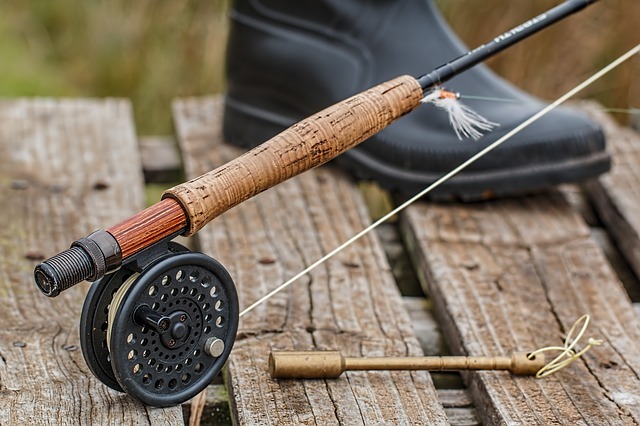 After you’ve chosen arrows and test line, you need to consider your reel choices and none of these are one’s you probably use when fishing traditionally. Basically, there are three types of reels to use when bowfishing. First and by far the most popular is the hand reel, and it’s exactly what it sounds like. You wrap the test line around your hand and pull the hooked fish into the boat. If you opt for this method, you must wear gloves or the nylon test line will tear up your hands. It’s probably not a great idea to use this reel type if you’re chasing big fish either. If the fish gives you a hard pull and your hand is wrapped up in the line, you might get pulled right into the water. Next, is the spin cast reel. It’s great for beginners but not a favorite of diehard bowfishermen. Instead, most will choose the hand method or a retriever reel. A retriever reel is the go-to choice when hunting for big game fish like alligator gar, sharks, and alligators. It’s also a great choice when going after little fish too, but it might be too expensive for some beginners or novices. One of the best times to go fishing is at night. This goes for traditional fishing and bowfishing too. Sounds, great, right? But only if you have the right illumination. You’ll need a flashlight and most likely a strong lantern as well. Use both the flashlight and lantern to detect movement of fish in the water. If you’re having a hard time seeing the fish move, there might not be any around. If this is the case, it might be a good idea to have a cheap fish finder on your boat as well. It’ll help you not waste much time and lead you right to the big schools of fish. A strong, mounted halogen lantern can help you detect schools of fish too and the flashlight can be used to help detect their movements. If you really want to get fancy, you can wear a head or body-mounted LED lamp to cut through the darkness night and make fish easier to see. One thing that sets fishermen and hunters apart from bowfishermen is a finger guard. The only time a finger guard is used is when someone is bowfishing. The finger guard is attached to the bowstring. It’s made of rubber and shouldn’t be confused with a finger tab or shooting glove. A finger guard will help you protect your fingers and gives you a safe hook on the bowstring as well. It’s even safe to use when the bowstring is wet. This article was graciously provided to us by Brandon Cox. Brandon is the founder of StayHunting, who is passionate about all things of hunting and fitness. Through his hunting website, he would like to share tips & tricks, finest tech that will excite all of the intricacies of hunting whether you be an amateur or a professional.